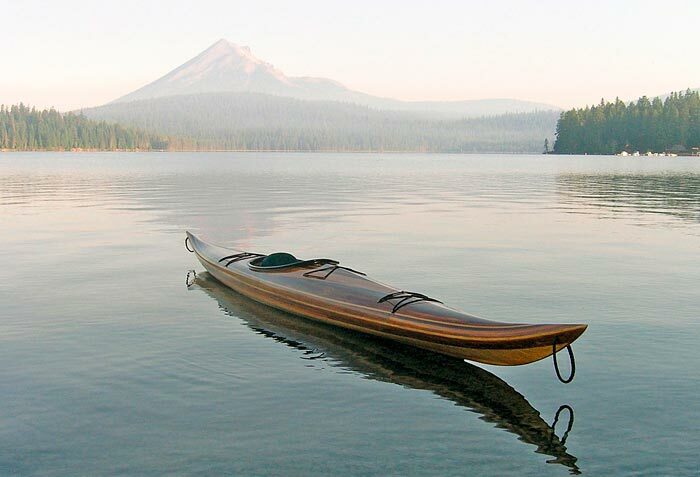 John Craven made excellent use of scrap lumber in the construction of this Guillemot kayak designed by Nick Schade. 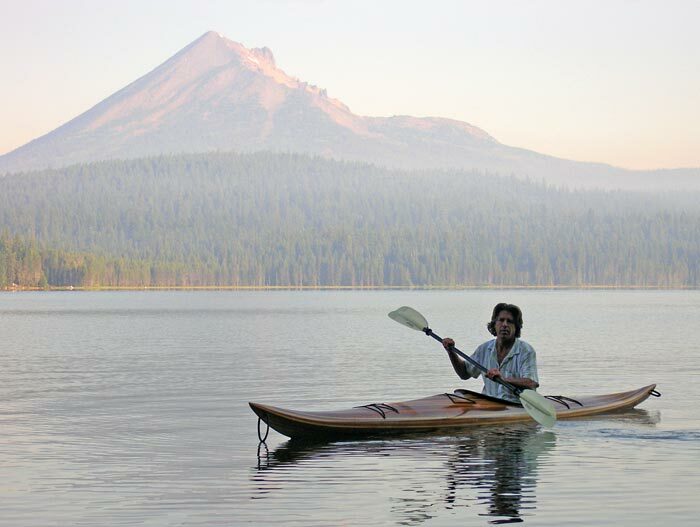 He use scrap plywood and particle board for the kayak form and cedar, redwood, and mahogany left over from his other construction projects. 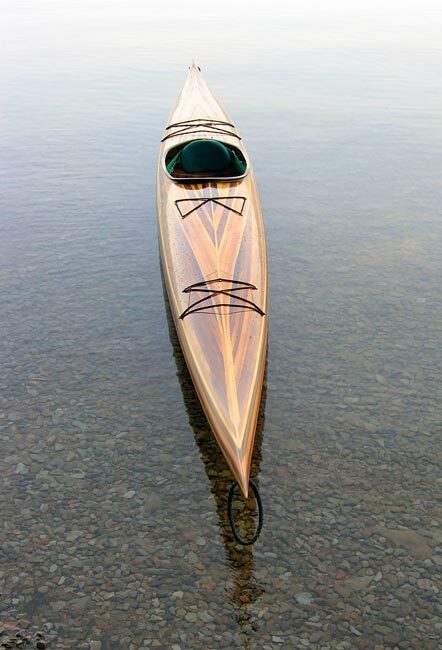 The kayak is strip built and covered with 'glass according to the methods explained in Nick's book "The Strip-Built Sea Kayak."